Brilliant scientist Dr. Light conceived the construction of fully-operational human-like experimental robots to perform specific everyday duties. 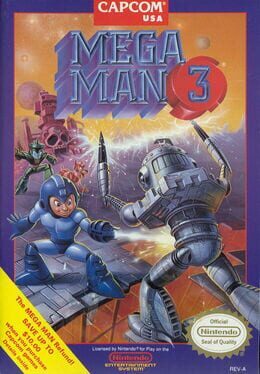 Dr. Light, and his assistant Dr. Wily, encouraged by their very first near-human robot - Mega Man - proceeded to develop six additional Humanoids, all programmed to perform prescribed rituals. But, with the exception of Mega Man, all of Dr. Light's near-human robot experimentation went awry. Assistant Dr. Wily turned disloyal, re-programming Dr. Light's Humanoids, now bent on destroying opposition so Dr. Wily could control the world and its resources. 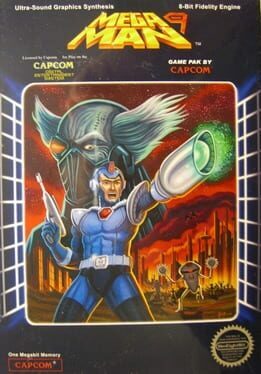 Resisting re-programming, Mega Man is chosen as the defender of the universe and its inhabitants. 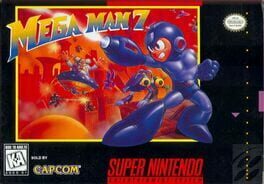 Mega Man dares to single-handedly penetrate seven separate empires of Monsteropolis, eliminating the leaders and followers of these sovereignties. 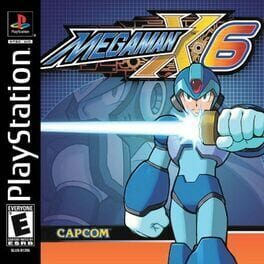 Mega Man returns for more wild action in MEGA MAN X5. This time around, terrorists have attacked an asteroid colony and turned off its artificial gravity. 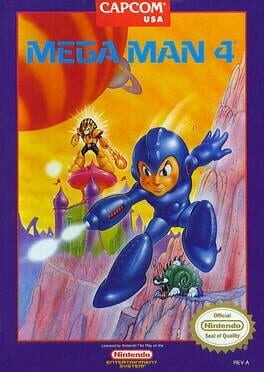 Now, it is up to Mega Man and his friend Zero to defeat the terrorists, turn the gravity on, and keep the colony from crashing into the Earth. The gameplay is what fans of the series have come to expect: Mega Man must use his blasters and bombs to make his way through eight levels of running, jumping, and shooting action. 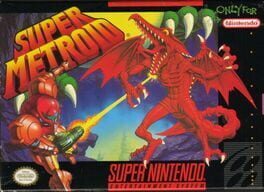 If you decide to play as Zero, you will have to use a plasma sword and some cunning to get through the same levels. In either case, the characters will have to face tough bosses that have unique abilities. Once a boss is defeated, Mega Man and Zero can utilize the boss's talents. 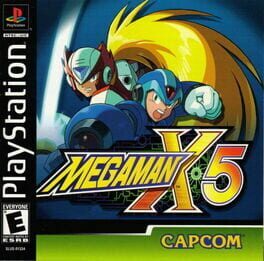 Only Mega Man and Zero can save the colony and the Earth in MEGA MAN X5. 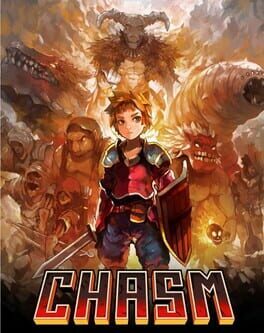 In Zero's next mission, he falls prey to a trap set by Neo Arcadia's ruthless commander. 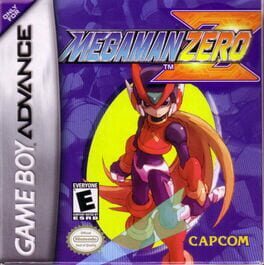 Planning to trick Zero, he tries to use him to wreak chaos between reploids and humans once again. But, can he succeed? - Time Attack - Set a goal somewhere in the stage. After three tries, the player with the shortest time to the goal wins. - Enemy Battle - Defeat the most enemies from the generator within the time limit. - Collect the most items from the map within the time limit. 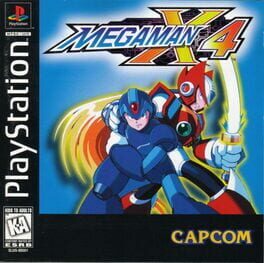 Mega Man X4 bombards the PlayStation game console and never lets up! 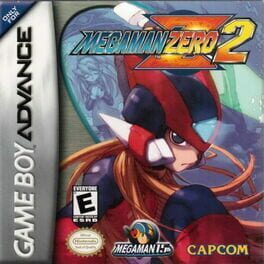 * Now, play as Mega Man X or Zero! * New X-Hunter levels with vivid color, brilliant detail, intricate passages, secret rooms and hard-to-reach items. * Invincible vehicles like the Land Chaser superbike and other robot ride armors. 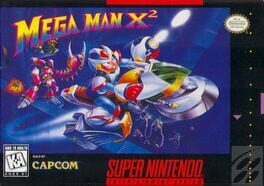 The plot of Mega Man X7 takes place in the 22nd century, during an age when humans coexist with humanoid robots called "Reploids". 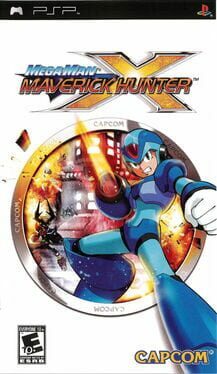 As some Reploids participate in violent and destructive crime, a police organization called the "Maverick Hunters" has been established to stamp out this activity. Maverick crime is rising in newly constructed cities. As this new crime wave hits, X retires, tired from the never-ending battles. A new group of vigilantes, Red Alert, is introduced. One of their members, Axl, decides he has had enough of their "murdering" and tries to leave the group. Red, the group's leader, is angered by Axl deserting, and goes on a rampage to get Axl back. Mission Critical... Zero is Missing... Search and Rescue! It's been three weeks since Earth's near collision with the space colony Eurasia. The disaster was averted by Zero's heroics. Now, on a bruised and battered planet, tales of rampaging reploids are surfacing. It's up to Mega Man X to investigate these mysteries but it's not going to be easy. 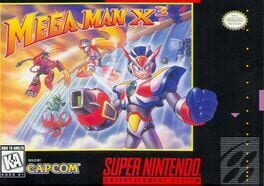 Mega Man X must battle through a maze of levels and rescue reploids along the way. Return to battle again and again with the new Nightmare System, which randomizes level maps, enemies, and endings based on how you play the game. Mega Man X is back and now it's personal! * The next action packed-adventure in the Mega Man X legacy – help find Zero! * Collect stronger powerups by rescuing as many reploids as you can. * Mega Man X now access Zero's sword as a new weapon. * New Nightmare System – randomizes level maps, enemies and endings based on how you play the game. A sequel to Street Fighter, Street Fighter II improved upon the many concepts introduced in the first game, including the use of command-based special moves and a six-button configuration, while offering players a selection of multiple playable characters, each with their own unique fighting style and special moves. Street Fighter II is credited for starting the fighting game boom during the 1990s. Its success led to the production of several updated versions, each offering additional features and characters over previous versions, as well as many home versions. 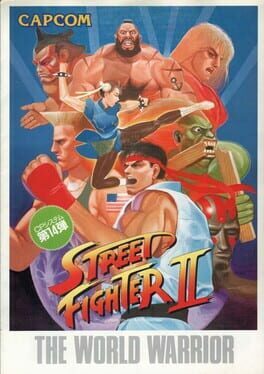 Some of the home versions of the Street Fighter II games have sold millions of copies, with the SNES port of the first Street Fighter II being Capcom's best-selling consumer game of all-time as of 2008. Street Fighter II follows several of the conventions and rules already established by its original 1987 predecessor. The player engages opponents in one-on-one close quarter combat in a series of best-two-out-of-three matches. The objective of each round is to deplete the opponent's vitality before the timer runs out. If both opponents knock each other out at the same time or the timer runs out with both fighters having an equal amount of vitality left, a "double KO" or "draw game" is declared and additional rounds will be played until sudden death. In the first Street Fighter II, a match could last up to ten rounds if there was no clear winner; this was reduced to four rounds in Champion Edition and onward. If there is no clear winner by the end of the final round, then either the computer-controlled opponent will win by default in a single-player match or both fighters will lose in a 2-player match. Like in the original, the game's controls uses a configuration of an eight-directional joystick and six attack buttons. The player uses the joystick to jump, crouch and move the character towards or away from the opponent, as well as to guard the character from an opponent's attacks. There are three punch buttons and three kick buttons of differing strength and speed (Light, Medium and Heavy). The player can perform a variety of basic moves in any position, including grabbing/throwing attacks, which were not featured in the original Street Fighter. Like in the original, the player can perform special moves by inputting a combination of directional and button-based commands. The 8-bit old-schoolers of the world have spoken. And boy, did they do so decisively. 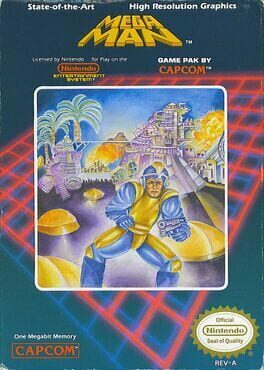 When Capcom released the NES-style Mega Man 9 back in 2008, they did it as a piece of one-off fan service, and no matter how good the game was (and it was very, very good), no one expected another 8-bit offering in the core series. And yet, here it is. 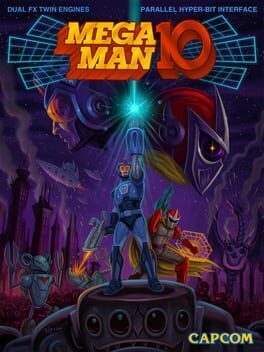 Mega Man 10 can be found on WiiWare, PlayStation Network and Xbox Live Arcade in all of its retro glory. And, it, too, is very good. 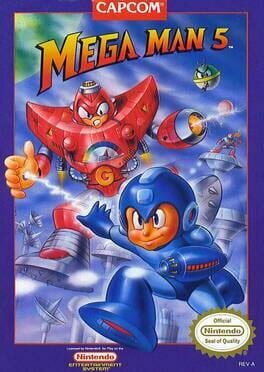 This particular Mega Man game is one of the most challenging with very interactive sprite powers. Three items are of absolute importance: The Air Dash sprite sheet, the N (Chimera) armor, and the Dual Buster. The last two are needed to get items, but the Air Dash is essential to even reach some of the bosses, making it the first item you should ever attempt to get. I'm am not an avid advocator of entering a board to get an item, and dying to exit the stage, but some beginners may want to consider doing this to get the Buster and N sprites. I mention this because the path I suggest following puts off getting these items until later into the game, which in turn forces you to get other items even later. Mega Man Sprite order is important, as it always is. It wouldn't be a Mega Man game without and boss order to follow. However, in MMX3, the correct weapon doesn't do tons of damage like you would expect. What's important in MMX3 is that the correct weapon cancels the bosses' attacks. Some of the bosses attack you in such a way that they nail you with a barrage and don't allow you to retaliate. That is why following the order is a lot wiser to do than before. Only certain weapons will give you the opportunity to press your attack on the sprite. Therefore, the best Mega Man sprite sheet to rip first is Blizzard Buffalo. Not only is he the (possibly only) easiest Mega Man sprite to finish off with your normal X-Buster, but housed in his stage is the essential Air Dash power up capsule. I will proceed to each stage here. I will list how to reach all the items within each stage, as well as how to beat that particular boss. The listing of each stage will be in the proper sequence one should take to get through them. Listed in brackets will be what is needed to get that item. A weapon name with a star next to it means the powered up version of that weapon (requiring the Dual Blaster). Get ready for X-treme adventure! 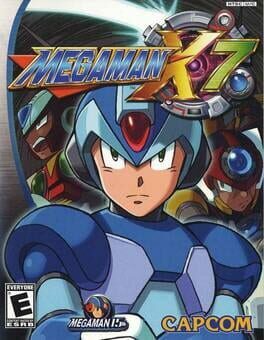 When Sigma leads a group of Reploids in a revolt against mankind, it's up to X and Zero to protect world from ruin. 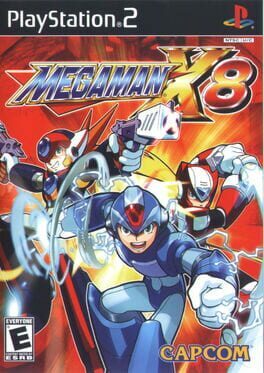 The revolutionary Mega Man X side scrolling game is recreated wih 3D graphics, remixed music, and special unlockable features.